Amazon, Azure and SaaS are already on everyone's mind. When your data center workloads move to cloud, is your corporate backhaul the most efficient way to get to the applications? The migration of applications from the data center to the cloud is forcing organizations to rethink their branch network and security architectures to enable local internet breakouts. What are the challenges of local breakouts and the hybrid branch? 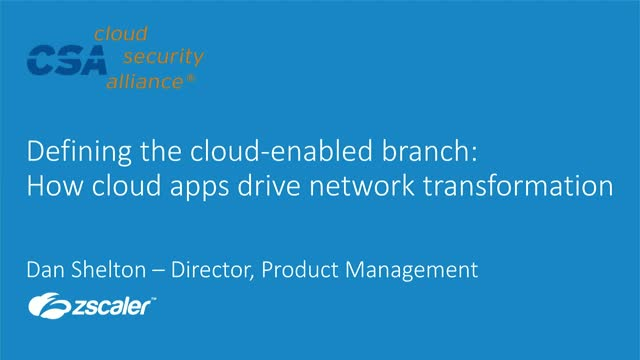 Join this webcast to discuss considerations for securely moving your branch workloads to the cloud to enable a better user experience, manage costs, and reduce risk.